This private secluded Casita is the favorite of many. 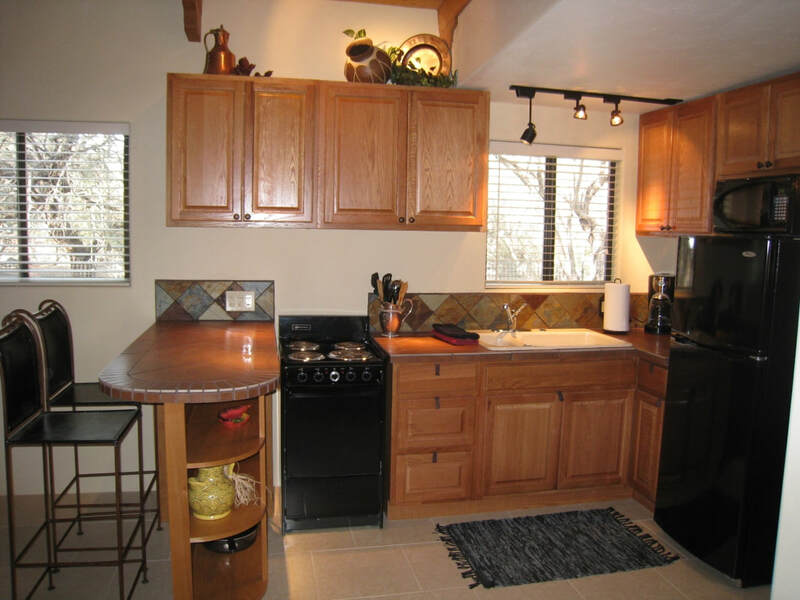 It is the smallest, yet with its high beam ceilings it gives a spacious open feeling. 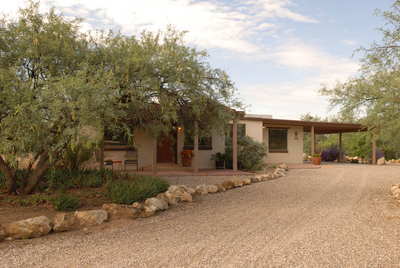 The front porch, looking out on the lush desert, is a quiet peaceful area to enjoy your morning coffee or an evening meal. A breakfast bar dividing the kitchen and living area. 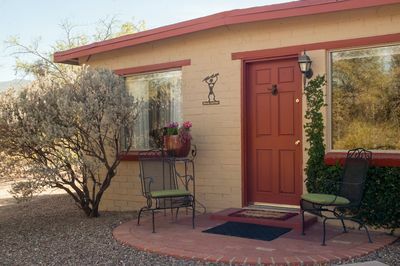 For terms, summer pricing and information on other Casitas, visit our Rates Page. 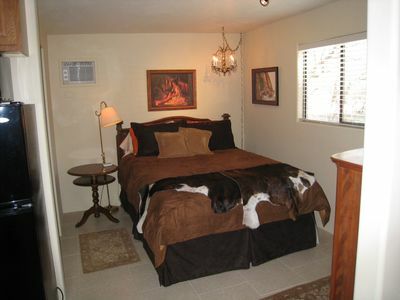 Click on a photo below to view another Casita. 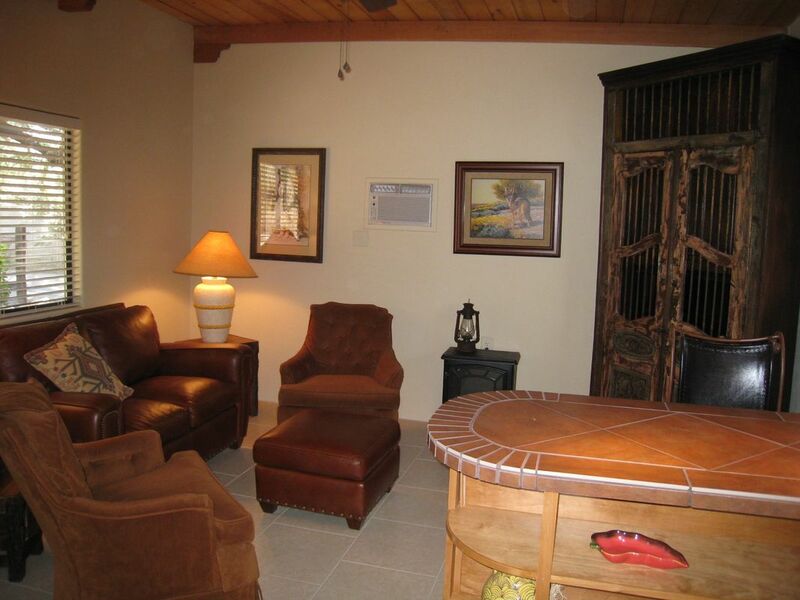 Contact us to request availability and arrange your accommodations. 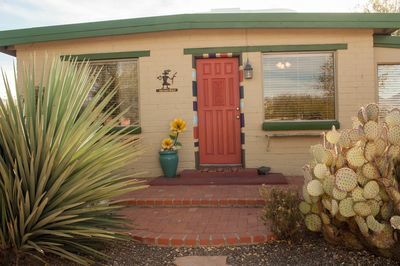 Please include what dates you'd like to be our guests, how many will staying with us, and if you have a preferred casita. If you prefer to contact us by phone call us at 520.870.8778. 1451 N. Smokey Springs Rd.